Shukrit has had a proven track record in the Pharmaceutical Industry and prior to co-founding Sayre Therapeutics, he served as Vice-President and India & South Asia Head, Branded Formulations at a premier Indian biotech. His responsibilities spanned the breadth of commercial operations (sales, marketing, medical, HR, Learning & Development, distribution, sourcing, formulations development, inventory management and regulatory teams). He also headed global business development and as part of the same, he directed strategies across all disease area franchises (Oncology, Immunology, Diabetology, Cardiology, Nephrology, Critical Care and Biological Products) to drive the global in-licensing activities. In his earlier roles at the Indian biotech, he has headed the Novel Medicines out-licensing and Biosimilars’ strategic business units. Prior to this role, Shukrit was employed with Bristol-Myers Squibb, Princeton, NJ, US in roles within the Anti-infectives, Cardiology and Immunology franchises. He was part of the global marketing team where he conceptualized the go-to-market strategies for Japan, China, Singapore and Indian markets, among other Asia-Pacific markets. Shukrit’ s experience set over two decades in corporate and academia covers R&D strategy, analytics/market-research, global and in-line marketing and business development, across US, India and other Asia-Pacific markets. Shukrit has built business lines in India, and drove the commercial strategy for global brands at Bristol-Myers Squibb, US. 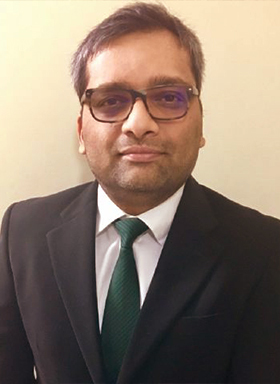 Shukrit completed his Bachelor’s degree in Pharmacy from Mumbai, India and his MS in Pharmacology & an MBA in Pharmaceutical marketing from the University of Mississippi, US. He also has a Masters in International affairs from the Columbia University, New York.